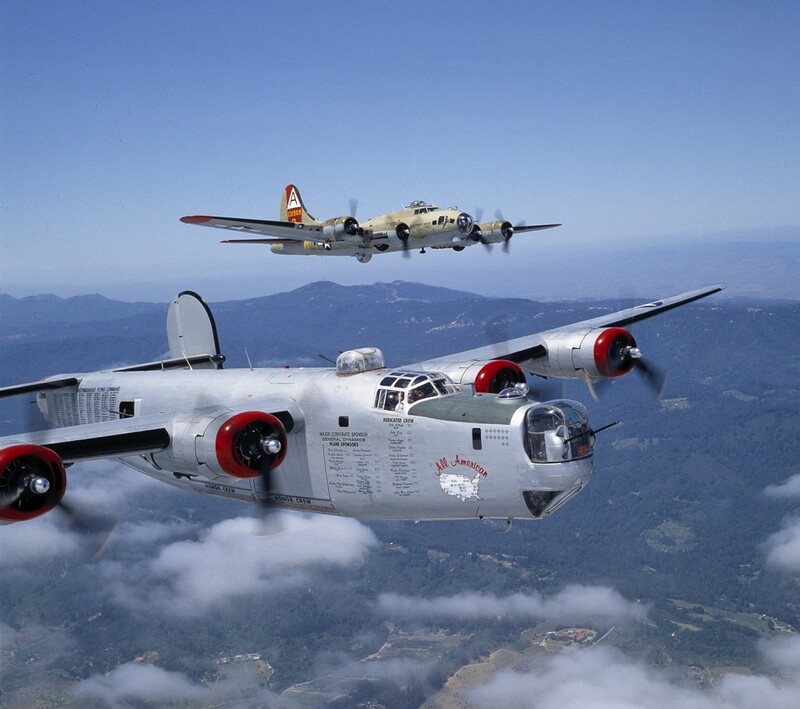 The B-24 (closest to the camera) and the B-17 were the main heavy bombers used by the US Army Air Force during the Second World War. The two aircraft seen here are operated by The Collings Foundation and tour airshows in the US. Needless to say they are a very popular attraction. I photographed these two aircraft on a flight from San Jose to Watsonville, California on 27 May, 1994.